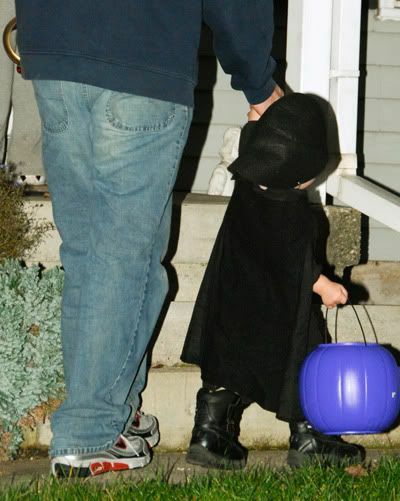 Halloween 2009: Let Them Wear Capes! They had to be Zorro. There is an episode where the "real" Zorro fights an impostor. And, they reenact this episode every single day. So, we had two Zorros this year. The other would have been heartbroken if one had been Zorro and the other something else. We surprised them with their costumes the night before Halloween, and the excitement level in our house was through the roof! There was lots of sword fighting. All. Day. Long. Jack and Max chose his costume weeks ago. Star Wars. Of course. He was so proud that he got to trick-or-treat with the bigger boys this year. He walked up to about 10 houses. And, then he got too tired. So he hung out with Momma. And, the two of us broke into the candy! They had so much fun this year. It was such a perfect reflection of what they're into, what they love, and the fact that at the end of the day, they aren't interested in being different from one another. Being the same, this year, was what made it so special. 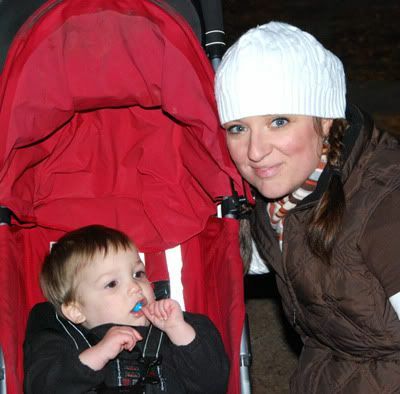 Halloween 2009. Our three (little) Men in Black. They look great! I love the pic of you and Lincoln, too. What a fun night! Bahahaha... 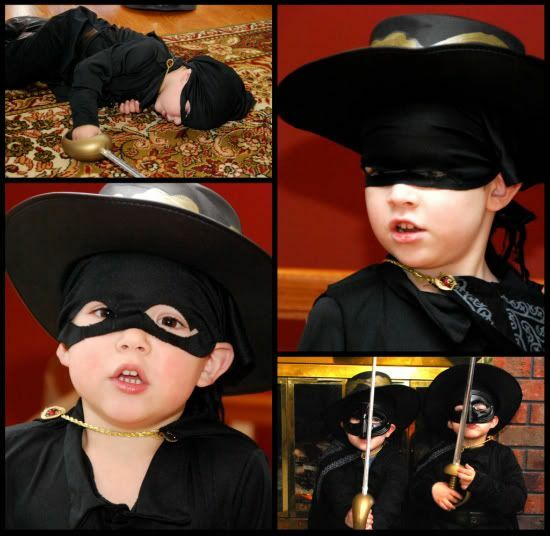 I'm SO glad they enjoyed the Zorro costumes. You rock for seeing life from their perspective. Did I tell you how much I enjoyed Max's version of the Zorro song? Seriously funny. That is the best! I see that Jack even has that fencing type stance down. And Lincoln is adorable too! So cute!! 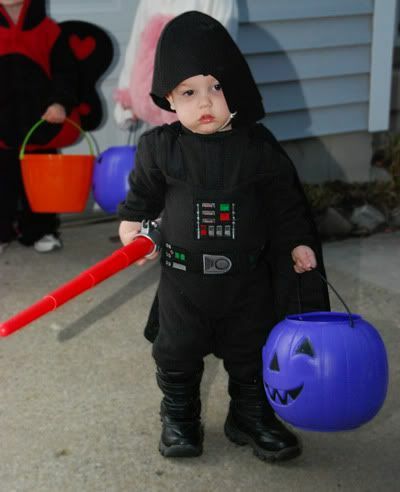 That is the sweetest Darth I've ever seen for sure. They are so cute! I love it! What a great day for all of you!! they do look great! 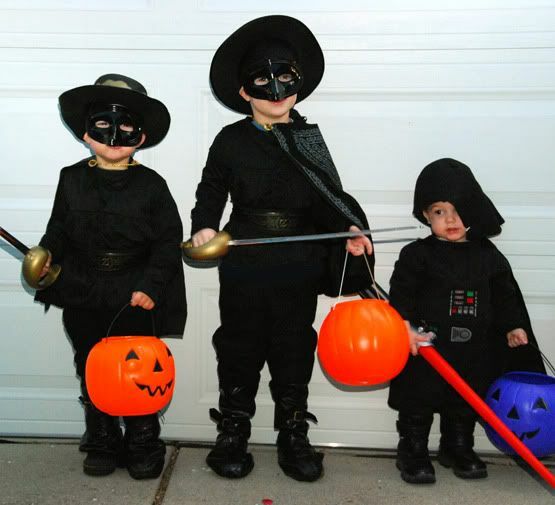 so cute; they'll be having fun w/those long after Halloween is over. So cute! I'm sure those costumes will get use FAR after Halloween. BTW..you look adorable. I love the scarf and puffy vest. Of course they were Zorro. Did I comment on the Zorro post before? I can't remember. But I giggled the whole way through. And even though they are wearing masks, those boys sure are brothers. All 3 look so much alike. Oh my word, that night was SO MUCH FUN!!!! And the boys looked awesome. What perfect costumes for them! P.S. JS was Yoda when he was three. Loved and enjoyed every single picture. Thank you!!! Had fun reminiscing!!!! ...And thank you for the recipe also. 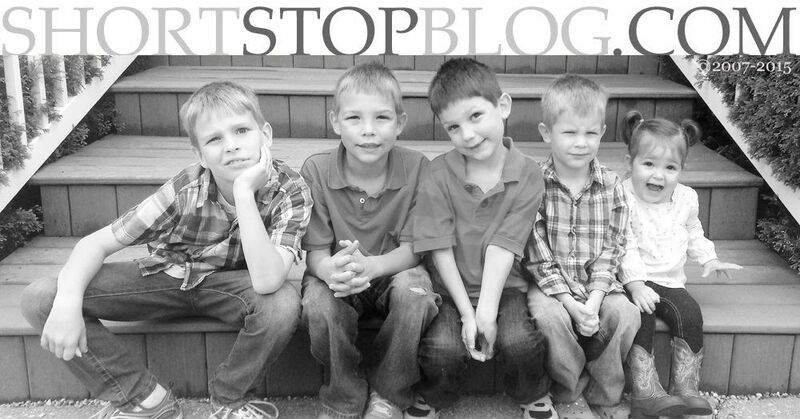 Dave just loved seeing the bigger boys, but can't stand thinking that Lincoln is growing up. He can't imagine! They are all way too cute! what perfect little zorros those two made. they'll probably want to wear their costumes every day from now on. 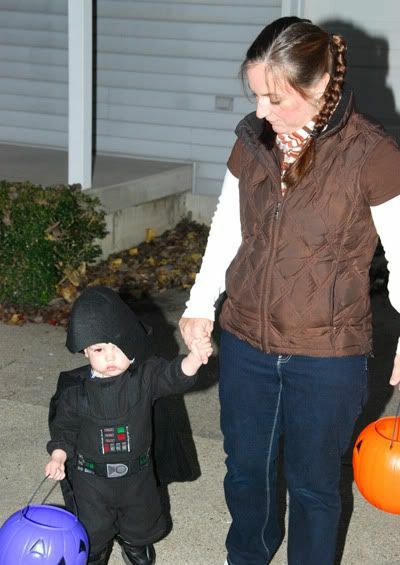 and lincoln... well, lincoln would be cute in anything but he did make an adorable darth vadar. i echo ginger's comment - he's growing up so fast. Awwww! Looks like you all had a great time!